Musa Manzini was kept awake during the six-hour operation partly to preserve and restore his finger movements. 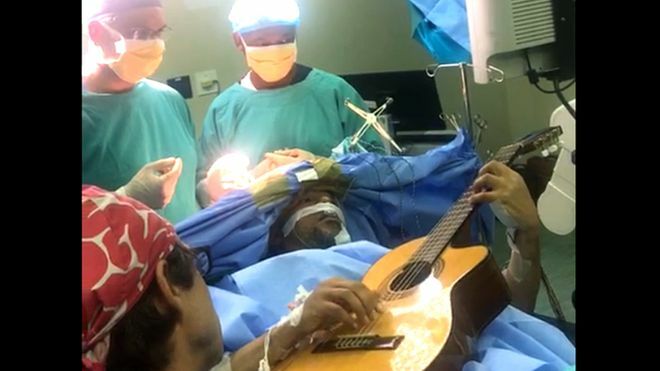 A South African jazz musician who played his guitar during brain surgery is making a successful recovery. That decision was made “taking into consideration my career as a musician”, the multi-instrumentalist and university lecturer said. The procedure took place at the Chief Albert Luthuli hospital in the coastal city of Durban. A video of Manzini’s procedure shows him gently plucking the instrument on top of the operating table as medical staff tend to him. The operation was performed last week by a team of specialist neurosurgeons led by Dr Basil Enicker and Dr Rohen Harrichandparsad. Manzini said the recurring tumour on his brain is linked to a neurological condition he has had since 2006. Dr Enicker told the IOL news site that in this instance an “awake” operation was preferableto the use of general anaesthetic. “In this way, we can test regions of the brain before [the tumour is] removed. This allows for increased removal of the tumour, while minimising damage to the brain,” he said. Doctors wanted to minimise the risk of paralysis or loss of functions in the brain’s motor cortex, which controls voluntary movement. 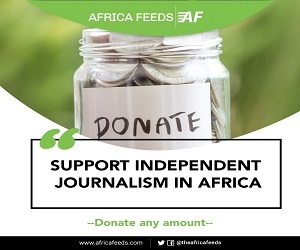 Musa Manzini said he is grateful for his treatment, adding: “I don’t think we appreciate our public health institutions enough”. The award-winning musician said he was keen to take to the stage again once fully recovered.